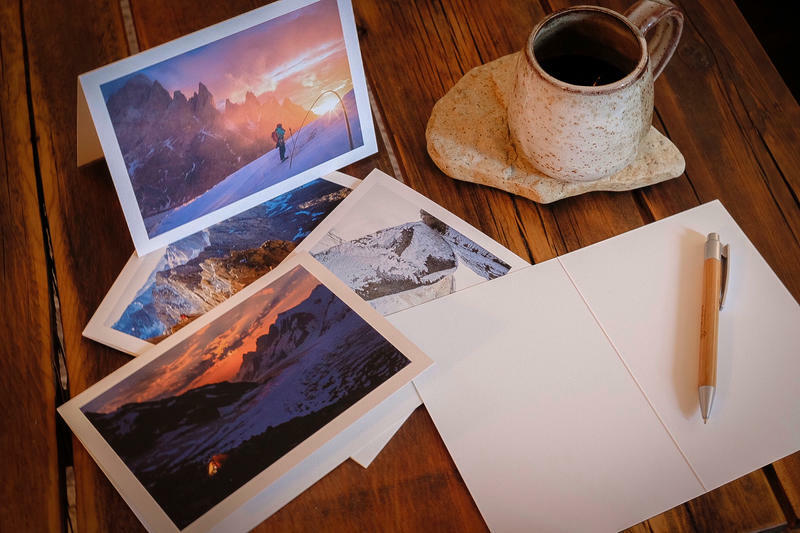 Printed on high-quality card stock, these 5x7" folded photo cards are perfect for thank you notes, letters, or as a gift in themselves. 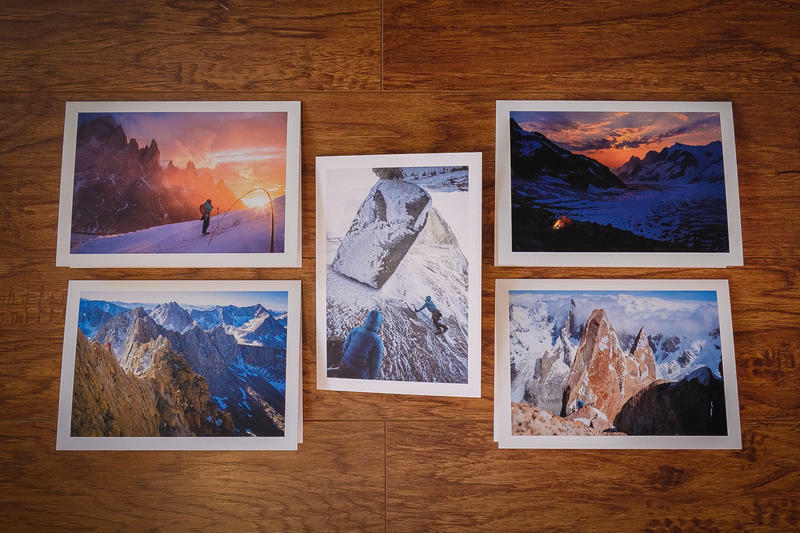 Each card features a different image on the front, with a blank white interior. A plain white envelope is included with every card. 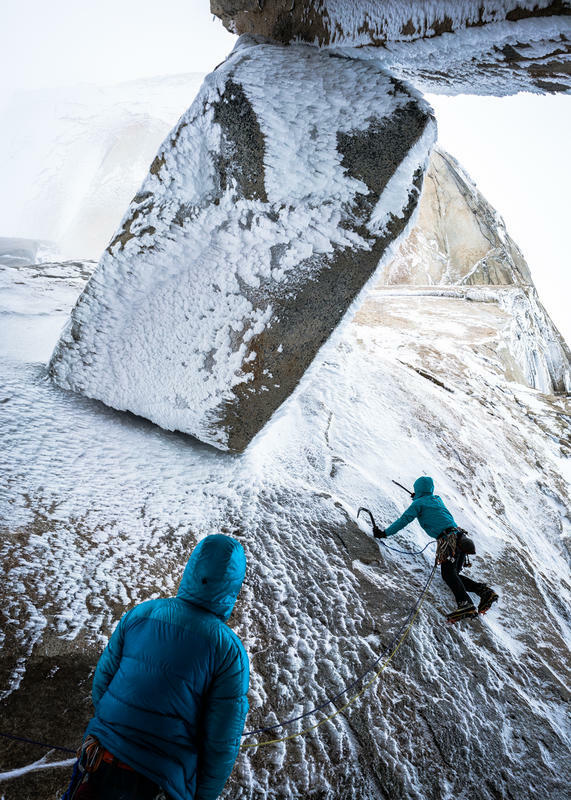 (1) Image of a climber delicately climbing beneath the massive wedged block on the first pitch of the route Exocet on Aguja Stanhardt in Argentine Patagonia. 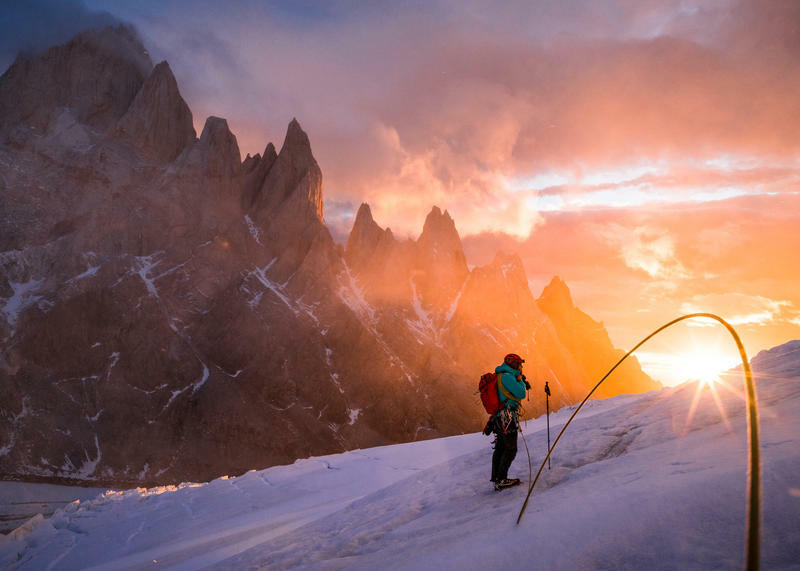 (1) Image of a climber in his tent in basecamp in the Waddington Range, British Columbia. 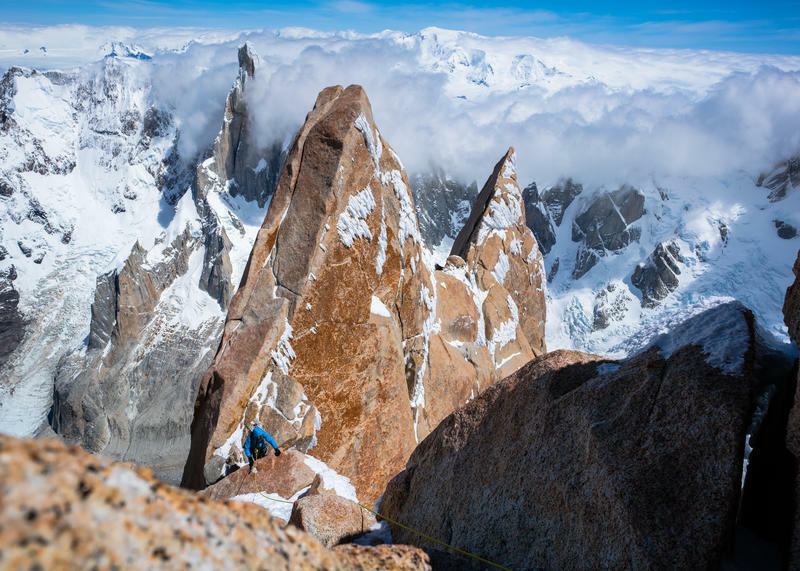 (1) Image of a climber following a pitch of rime-encrusted granite high on Cerro Fitz Roy, with Cerro Torre emerging from a wall of clouds in the background. 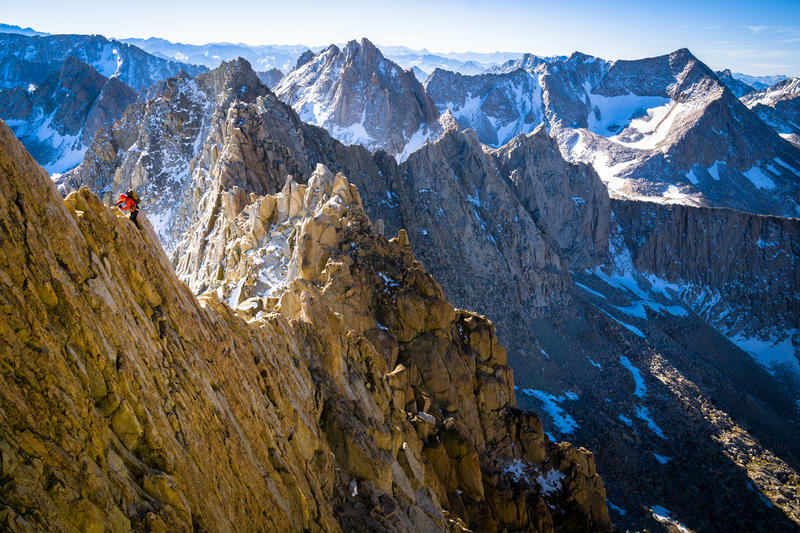 (1) Image of a climber carefully downclimbing an exposed section of ridge on The Evolution Traverse in the High Sierra of California. 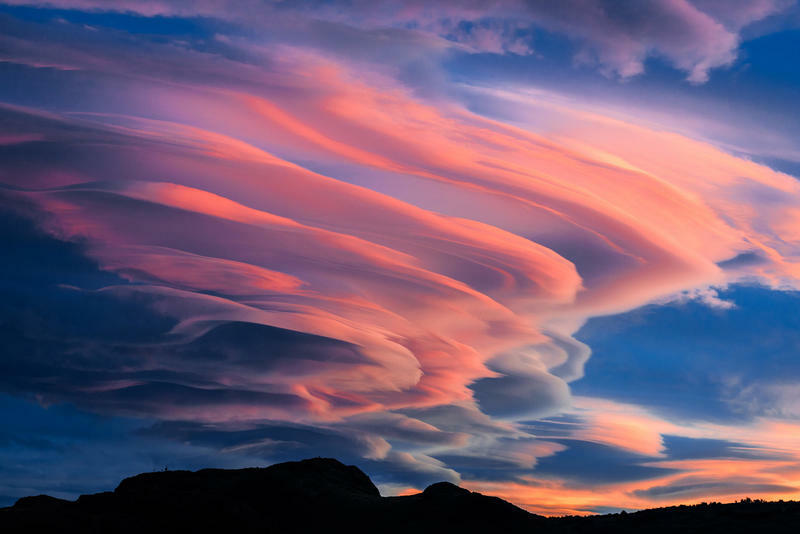 (1) Image of a climber weaving through the Torre Glacier as the technicolor glow of the rising sun illuminates a growing storm in Argentine Patagonia.